The small fishing village perched on a cliff overlooking the Gulf of poets is indeed a fascinating place, with a very typical Riviera architecture style. 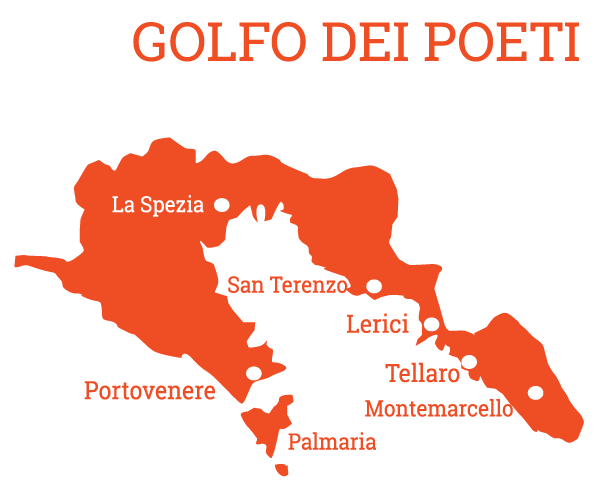 Favourite destination for many Italian and foreign artists, Tellaro is one of the places that gave the La Spezia Gulf the name of the Gulf of Poets. Easternmost fraction of the town of Lerici, it is also one of the “borgate" taking part to the Palio del Golfo. The only way to get to Tellaro is a driveway which leads from Lerici to Tellaro, lying on the sea, through the stunning coves of Maralunga and Fiascherino. The village can also be reached with some footpaths from the villages above, with a beautiful view on the Gulf, although with some difficulty, given the rough and rugged terraces descending to the sea. Very fascinating are the stories related to the village. Among the most famous legends, one that tells the rescue of Tellaro from a Saracen pirates night attack in the Middle Ages, by the work of a giant octopus that aroused the population playing hammer church bells.